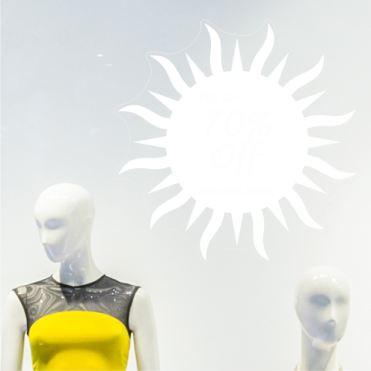 Our sale and discount shop window stickers come with a selection of discount options ranging from 10% to 70% off. You can order any sticker at the size you require and in the colour of your choice. The stickers are very easy to apply and when ordered in static-cling material can be easily removed and re-used.